These are valid questions in a region like the Asia-Pacific, which extends north to south from Mongolia to New Zealand and east to west from Japan to Pakistan. These huge distances make the region unique in terms of availability of interpreters and contingency planning. In such a challenging context, there are many factors to consider when organising interpretation services for a multilingual conference. A consultant interpreter (CI) can provide conference organisers with an invaluable service not only in setting up the most appropriate team of interpreters for the conference but also making sure that Murphy?s Law is covered by contingency planning. Can I get ?local? interpreters? There is no simple answer to this question. There are professional interpreters based in countries of the Asia-Pacific region, but generally not enough to make up a full team. For example, you can find a handful of professional Thai-English conference interpreters in Thailand, or Chinese-English professionals in China, but for other language combinations you would have to look to other countries of the region or to Europe and the USA. This implies that the cost of interpretation services for a meeting in Asia-Pacific frequently has to include airfares, daily subsistence allowances and travel time allowance for the interpreters on a team. There is a big difference between professional conference interpreters and language assistants, language aids or expatriate English teachers living in Asia, who may speak a foreign language very well and be ?local?. A perfect command of languages is only a prerequisite for simultaneous or consecutive interpretation. 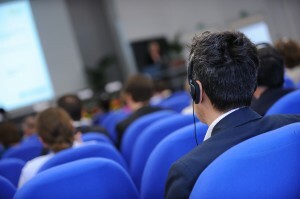 To access the profession these days, interpreters must have a university degree in conference interpreting,vast general knowledge, which can be acquired by experience or study, a quick mind, an ability to understand other people?s accents, and the capacity to work under pressure and deliver the entire message coherently. Languages are the tools of the profession but they alone do not make a professional conference interpreter. Even though concert pianists have two hands and ten fingers, they must first learn to use them to produce music and then perform with an orchestra. Similarly, a professional interpreter learns how to use his/her linguistic skills to perfection before (s)he can be recruited to work at an international conference. Most so-called ?locals? may have the fingers but not the skills and the practice. There are few people who have such qualifications and fewer still who live in Asia-Pacific, which is a small conference market compared to Europe. It is therefore almost impossible to constitute a team of only ?local? 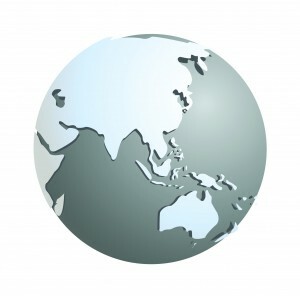 interpreters for an international conference in Asia-Pacific, if we understand ?local? to mean interpreters living in the same city as the conference venue. 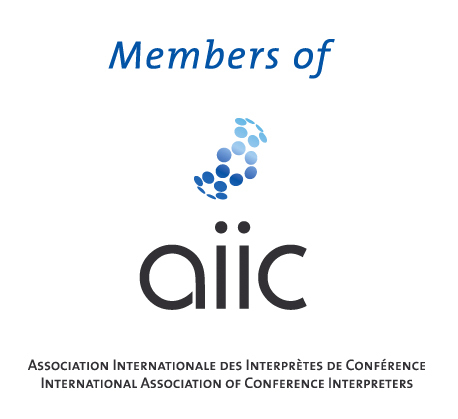 When CIAP associates organise teams of interpreters, they apply the AIIC principles of professionalism: all other factors being equal, professional interpreters will be sourced from the city, country or region closest to the conference location. This will ensure the lowest possible cost and highest possible professionalism. It is not always true that you get what you pay for. Sometimes, you pay much more than peanuts, and you still get monkeys, albeit ?locals?. Contingency planning is one of the most critical tasks of the consultant interpreter. Not only must the CI ensure that the interpreters hired have the right language combinations and professional qualifications for the conference, but also that the team has the required flexibility and adaptability to cover unforeseen circumstances. If an interpreter falls ill during a conference in Brussels or Geneva, it is relatively easy to find a replacement in the same city on the very same day. 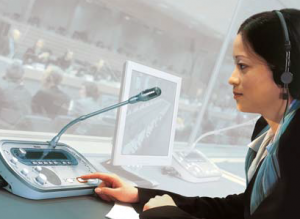 In the Asia-Pacific region it?s not that simple, because of the short supply of qualified interpreters. A CIAP CI will therefore always try to have some interpreters on the team who have more than one ?active? language to ensure that, should a member of the team drop out because of an emergency, another interpreter can stand in for that colleague at least for a while. Conference interpretation is team work. The quality of work of each interpreter on the team reflects on that of the others. When Chinese, Japanese, Korean or other Asian languages are interpreted into French, Spanish, German or other European languages ? and vice versa ? ?relay? is used. This means Chinese is interpreted into English and the English translation is then interpreted into Spanish, for instance. Good quality relay is essential for the original message to be correctly conveyed into the other languages. The experienced CI will make a special effort to recruit the best interpreters when relay is required, a situation more frequent in Asia than in Europe. It therefore requires the recruiting skills of a CI who knows the interpreters in the region and who will exercise special care in recruiting the team best suited for the conference. International conference organising requires professional input. Cover all your bases by asking someone who understands your market and who knows the professional interpreters in the Asia-Pacific region to recruit your team of interpreters.